There can be no Homa farm without a cow. She is a Mother to all. 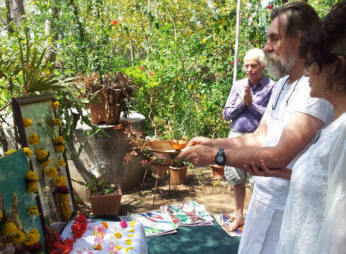 "On March 25th, 2001 we commenced our continuous Om Tryambakam Homa Fire. 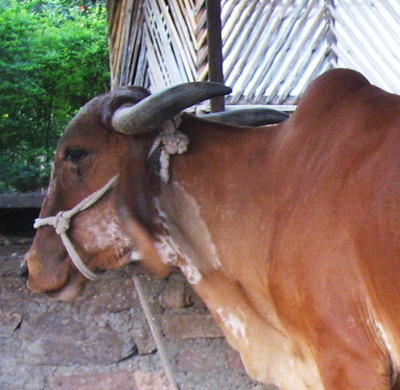 “In Tapovan, we have at the moment 9 cows, 4 bulls, 9 calves and 7 newborns. We also have 2 bullocks working the farmland. 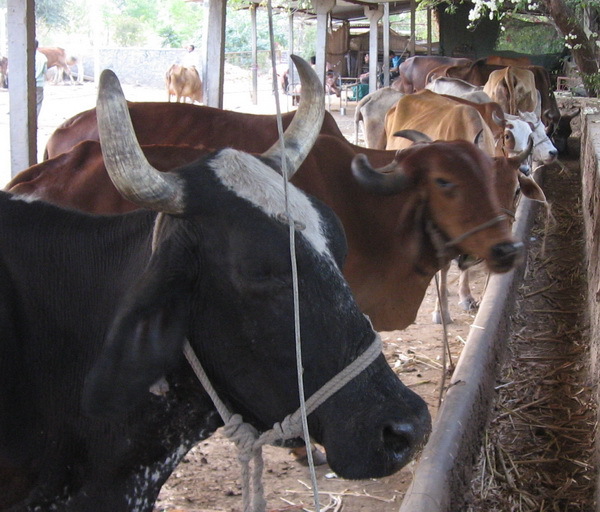 These are indigenous Indian (Desi), Gir cows and some mixed breeds. 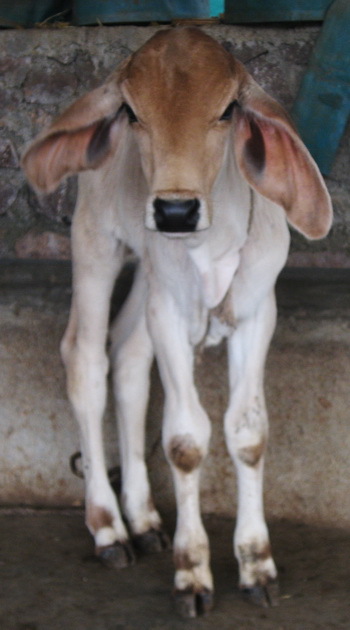 We have cows since several years and now it is the 3rd generation. Here we have maintained 24 hour Tryambakam Homa for nearly 10 years and for this, we use pure cow’s ghee. Half of this ghee comes from our own production now. We have observed and documented the ghee production for a 6 months period (from 1 Oct 2009 to 31 Mar 2010). Extraction ratio of the milk fat in Tapovan is 42.3 grams/liter, while normally in our area, the average ratio is 30 grams/liter of milk. That means that in Homa atmosphere the cows produce over 1/3 more milk fat. 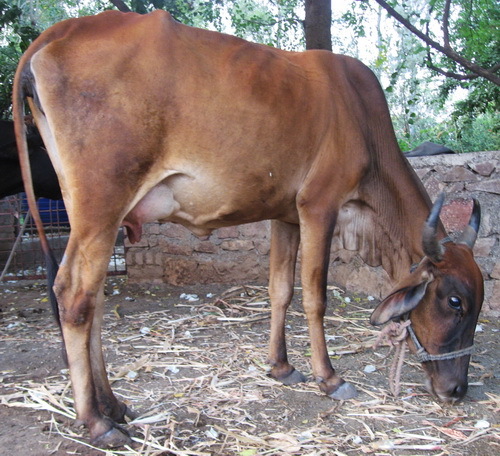 Also the Gir breed gives 5 liters of milk per day in the villages, but we receive from the same breed 6 liters of milk in Tapovan. 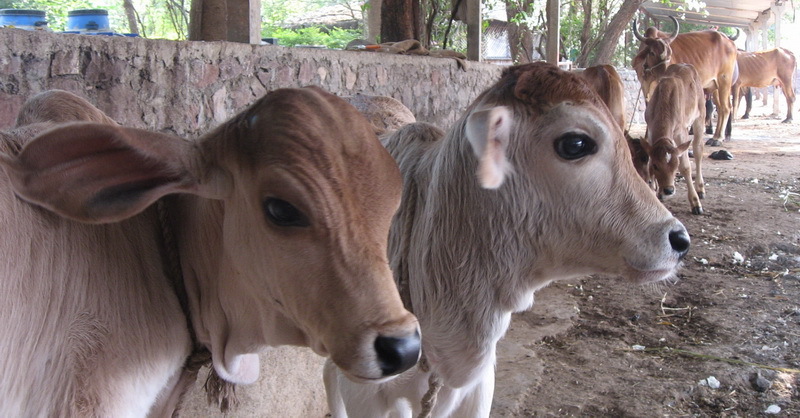 Photos show the happy cows from the Tapovan Homa farm in their stable. 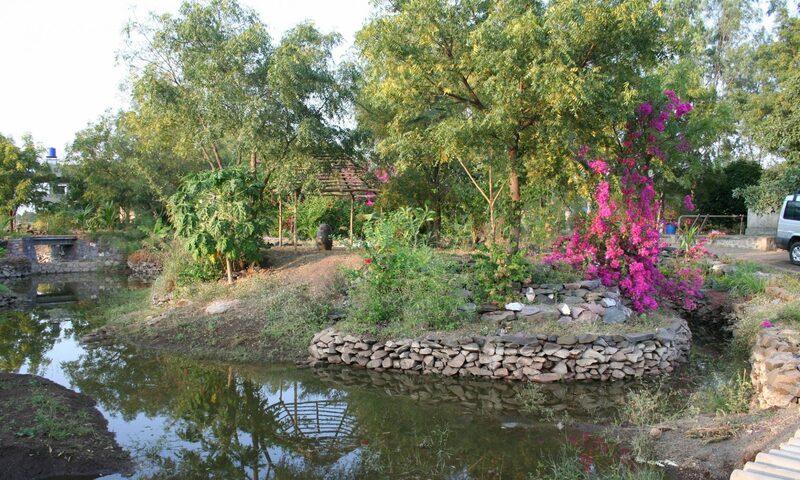 Above: Desi cows, including Gir cows. 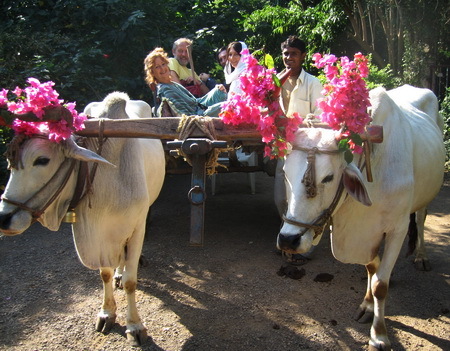 Below: Bullocks carrying tourists to the nearby villages and recently born calves.